The acronym stands for Light Emitting Diodes and over the years, LEDs lights have become a famous lighting option for most homes. There used to be a time when they were only used in electronics applications and automobile functions. But when homeowners realized the energy savings that they would enjoy by using different types of LEDs, it has become a strong lighting fixture in most homes. Aside from its being energy saving, there are other reasons why it pays to use LED lights. 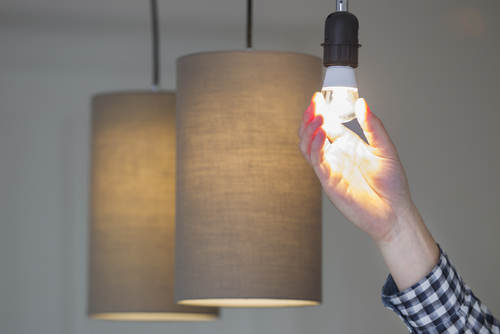 Unlike incandescent bulbs which have filaments that easily burn out, LED lamps are more longer-lasting. This means that you would have to change the lamps in your house less frequently if they are LED instead of incandescent or fluorescent bulbs. Second, LED lamps do not easily heat up. They are safe to use; they offers better illumination, and they are flexible. There are different LED colors which are currently available so you can use them as an accent or decorative lighting fixtures for your house. What are the Types of LEDs Available? These are the red, yellow, green and orange bulbs used in most cars. Automotive LED bulbs last longer and take up lesser power, so you won't have to drain your car's battery even when the lights are on. Unlike a few years back when you had to be an electrician to enjoy the benefits of LED for home lighting, using the lamps now is as easy as screwing in a light bulb. There are many LED lamps available in the market today which looks exactly like the traditional incandescent bulbs. This means that you only have to install them as you would the regular lighting fixtures used in your home, no hassle. If you have an entertainment room, if you want to highlight your cabinets in the kitchen or if there's a painting that you would like to have lit at night, LED strips offer the perfect solution. These are made from high-powered LED lights which are mounted on an ultra-thin circuit board. There's usually an adhesive coating at the back to make installation easier, so you can stick them pretty much anywhere. There are other types of LED lights which you can use based on how they were manufactured. For instance, the traditional LED bulbs which have been made since the 1960s are called inorganic LEDs. There are also organic LEDs which have a wide range of applications. High brightness LEDs can be used for areas where a much brighter illumination is needed, such as in your backyard when it gets dark. Superflux LEDs are used in billboard advertising while flashing LEDs are used in vehicles or decorative lighting fixtures. There are also bi-color, tri-color and RGB LEDS which are used in a variety of applications. No matter which type of LEDs you end up using, what's important is to have them installed properly based on what you are using them for. 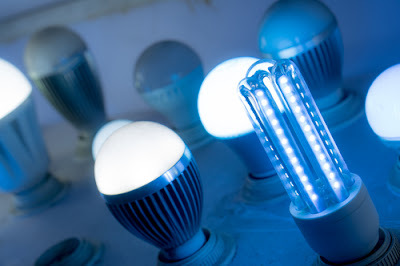 LED lighting is different from other forms or types of lighting in many different ways. When LED lighting is perfectly designed, it is more efficient, longer lasting and durable. This type of lighting also doesn't produce as much heat as the traditional light bulbs that we are all accustomed to. The common colors for this kind of lighting are red, green, blue and amber. There are no white LEDs so to get the white color that we would use in our homes or offices there would be different colors mixed to make white or the diodes could be covered with a phosphor material that will convert the color to white. A basic example of a LED light is the power light you would commonly see on a computer or similar electronic. These same lights are also used on indicator and signal lights on automobiles. LEDs are now being used to produce lighting for other lighting applications. 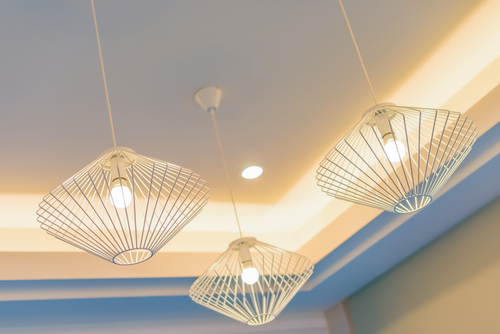 Because LEDs are tiny and allow for unique designing, they are being incorporated into more lighting applications used for general purposes. There are now some LEDs that look like the traditional light bulbs that we are all familiar with. Incandescent and compact fluorescent lights will emit light and heat in all directions. The LED lighting will only emit light in a specific direction. With the LED light able to emit lighting in a certain direction it is the perfect candidate for efficient applications. There is LED that has earned the ENERGY STAR and has been subjected to very strict requirements. This lighting has to exactly replicate the lighting that we are used to using a standard type light bulb. If you were to choose a LED bulb that did not earn the ENERGY STAR, you would be very disappointed when you went to use it in your lamp. The light would only go in one direction so the lighting would not be nearly as good as what you would expect. LED lighting will not burn out like a traditional light bulb does. What happens is over time the light will undergo lumen depreciation. This is where the amount of light and color will shift and fade over time. These lights will not produce heat like the halogen or incandescent lights will. The little heat that is produced will have to be drawn away from the LEDs using heat sinks. A heat sink absorbs the heat and dissipates it into the environment. This will keep the diodes from becoming overheated. Heat management is the biggest factor when it comes to successful LED lighting that will last a long time. Today there are more light choices than ever before. With all of the lighting available if you want to save energy be sure to choose the ones that are marked ENERGY STAR. Most of these lights will have a three-year minimum warranty. LED lights can be used as wall mounts, floor lamps, and desk lamps. The sleek modern look of the modern lighting takes less space and has intricate designing. Desk lamps are made to look modern or more traditional and provide the best in bright light to work by.